Being sick is probably one of the things people hate most. Whether it’s a nasty cold or a full blown flu, most would give anything to keep themselves from getting sick. With the absence of infection being so highly desirable, it’s no wonder there’s is no shortage of supplements promising to keep you from getting sick. Sadly though, not all live up to their claims. But if you’re a serious or competitive athlete, you may have experience firsthand how repeated strenuous and/or prolonged exercise can predispose you to increased risk of infection. If follows that sports scientists now widely recognise that too much strenuous exercise can suppress immunity1. But competitive athletes and even your average fitness enthusiast know that one of the biggest detractors to reaching your fitness goals is injury or illness. Absence of illness allows continued training in a periodised manner, hopefully leading to improved strength and performance. So naturally, individuals, athletes and coaches are always eager to explore strategies to reduce the risk of infection. This is a question that pops up a lot. Immunity can be measured in a number of different ways and you’ve also got the different parts of the immune system, namely innate and acquired. So when it comes to testing the effect of different supplements on immune function, it can be difficult to compare studies directly because of the different measures used. Nonetheless, there are a number of foods, vitamins, herb and supplements which have some scientific merit behind their ability to boost immune function. When it comes to foods, there are very few that have any real science behind them suggesting they can boost immunity. Some popular examples that come to mind included yoghurt and chicken soup. However, one popular superfood worth mentioning is spirulina. Spirulina is renowned for its dense and diverse range of micronutrients and there are a multitude of studies looking at the effect of spirulina supplementation on a variety of health outcomes. When it comes to immunity, several studies have shown supplementing with 5-10 grams of spirulina a day can help improve immune function as well as antioxidant levels and exercise performance2-4. Perhaps one of most common vitamin supplements used for bolstering immunity is vitamin C. While there are a mass of studies on the effect of vitamin C on the common cold, there is still some conjecture as to whether it actually prevents the cold as well as reducing the severity and duration of the common cold5. Earlier research examining the factors that determine the effectiveness of vitamin C supplementation suggest that the dosage and age of the individual may be important factors, with doses above 2g much more effective and children responding better than adults. 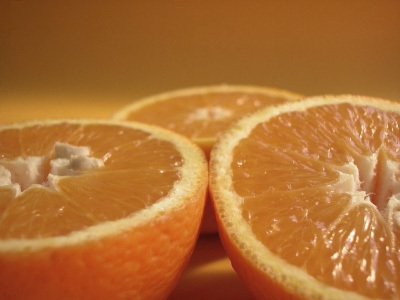 Despite the controversy, vitamin C supplementation has proven to be very safe and therefore, its pros outweigh any cons. Another substance with some very credible research behind it that can broadly be classified under vitamins is the common flavonoid, quercetin. Quercetin happens to be the most prevalent flavonoid in fruits and vegetables. There have been a rush of studies in recent times showing that quercetin can not only significantly improve the immune function of athletes, but that it has benefits on performance, body composition and antioxidant response to exercise6, 7. Incidentally the combination of vitamin c and quercetin is synergistic and has been shown to have benefits in addition to either substance on their own8, 9. Ask the average Jo what herb they would associate with improved immune function and they will invariably say Echinacea. That’s because Echinacea is the single herb with the most research on its ability to boost immunity. Even with all this research, there is still not a strong consensus among researchers as to whether Echinacea definitely reduces the incidence, symptoms and duration of the common cold10. However, part of this confusion may be explained partly by the extreme diversity in the types and strengths of Echinacea extracts that have been examined in multiple studies. Some recent studies measuring highly standardised and quality echinacea extracts have shown without doubt that Echinacea does in fact boost immunity11, 12. Many a sports supplement claims to boost immune function, but one of the few supplements with some solid science behind it is that of bovine colostrum. Studies in a range of athletes from endurance to strength have shown that colostrum supplements can help reduce the incidence of common infections such as upper respiratory tract infection (URTI)13. Bovine colostrum is essentially a protein so scientists have been at odds to explain exactly how it works because like all proteins, it should just be broken down into its constituent amino acids. But colostrum is known to carry a high content of bioactive compounds and scientists now believe some of these escape digestion and therefore remain biologically active after consumption13. The only catch with colostrum is that it’s not too cheap, and on top of that, most studies show you need to use quite a lot to see an effect. The lowest dose used in a study which showed a positive effect on performance and immunity was 10g14, however, most others have used between 20g and 60g14. At these dosage levels, however, things get very expensive if you’re taking colostrum every day like the subjects in the studies. To wrap up, staying healthy and free of infection and illness is something that highly valued by anyone regardless of whether you’re an Olympian or weekend warrior. To this end, there are plenty of supplements that promise to improve your immunity and resistance to infection. But its easy to waste unnecessary money on immune supplements that lack much scientific backing, especially if you don’t pay any attention to the basics such as sleep, work/life balance and diet. In the event that you are a competitive athlete, your daily training may indivertibly subject you to increased risk of infection, in which case there are supplements, foods and vitamins that may offer significant benefit in your quest to stay healthy and which vary greatly in price. Common sense says a level-headed approach to it both lifestyle, training and supplementation is the best way to stay healthy. 1. Gunzar W, et al. Exercise-Induced Immunodepression in Endurance Athletes and Nutritional Intervention with Carbohydrate, Protein and Fat—What Is Possible, What Is Not? Nutrients. 2012 September; 4(9): 1187–1212. 2. Selmi C, et al. The effects of Spirulina on anemia and immune function in senior citizens. Cell Mol Immunol. 2011;8(3):248-254. 3. Park HJ, et al. A randomized double-blind, placebo-controlled study to establish the effects of spirulina in elderly Koreans. Ann Nutr Metab. 2008;52(4):322-8. 4. Kalafati M, et al. Ergogenic and antioxidant effects of spirulina supplementation in humans. Med Sci Sports Exerc. 2010;42(1):142-151. 5. Hemilla H & Chalker E. Vitamin C for preventing and treating the common cold. Cochrane Database Syst Rev. 2013 Jan 31;1:CD000980. 6. Pelletier DM, et al. Effects of quercetin supplementation on endurance performance and maximal oxygen consumption: a meta-analysis. Int J Sport Nutr Exerc Metab. 2013;23(1):73-82. 7. Glesson M. Nutritional Support to Maintain Proper Immune Status during Intense Training. Nestle Nutr Inst Workshop Ser. 2013;75:85-97. 8. Askari G, et al. Does quercetin and vitamin C improve exercise performance, muscle damage, and body composition in male athletes? J Res Med Sci. 2012;17(4):328-31. 9. Askari G, et al. Quercetin and vitamin C supplementation: effects on lipid profile and muscle damage in male athletes. Int J Prev Med. 2013;4(Suppl 1):S58-62. 10. Linde K, et al. Echinacea for preventing and treating the common cold. Cochrane Database Syst Rev. 2006 Jan 25;(1):CD000530. 11. Woelkart K, et al. Bioavailability and pharmacokinetics of Echinacea purpurea preparations and their interaction with the immune system. Int J Clin Pharmacol Ther. 2006 Sep;44(9):401-8. 12. Schapowal A. Efficacy and safety of Echinaforce® in respiratory tract infections. Wien Med Wochenschr. 2013 Feb;163(3-4):102-105. 13. Davison G. Bovine colostrums and immune function after exercise. Med Sport Sci. 2013;59: 62–69. 14. Shing CM, et al. The influence of bovine colostrum supplementation on exercise performance in highly trained cyclists. Br J Sports Med 2006;40:797–801. 15. Hemilla H. Vitamin C supplementation and common cold symptoms: factors affecting the magnitude of the benefit. Med Hypotheses. 1999 Feb;52(2):171-8.